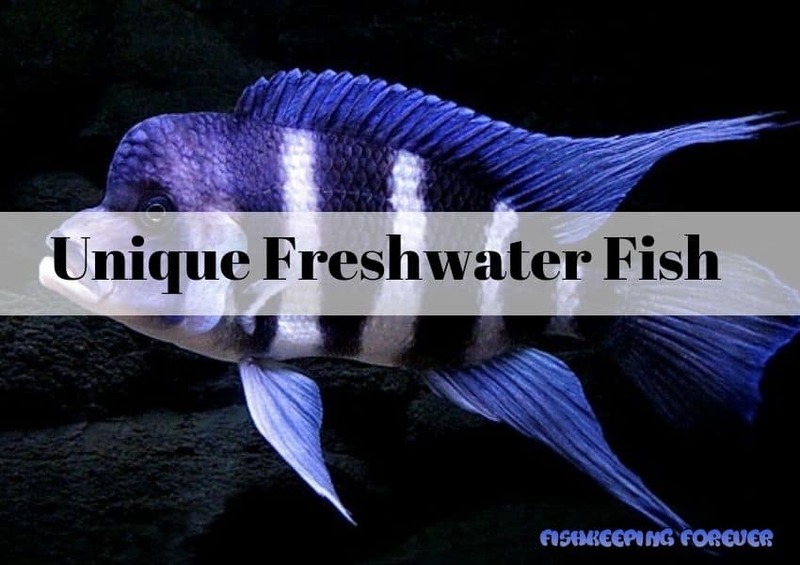 Unique Freshwater Fish - #8 Isn’t a fish, but it is very Unique! Blog Unique Freshwater Fish - #8 Isn’t a fish, but it is very Unique! If you own a Freshwater fish tank then you probably have some of the more common fish housed in your aquaria like Neons, Angelfish and Clown Loach. All beautiful fish, but have you looked at some of the more Unique Freshwater fish? We are blessed in the freshwater fish category of having a large number of fish to choose from for your home aquarium., however, not all are suitable for smaller tanks or for beginners. In this post, we will look outside the normal range of Freshwater fish that you’ll find in your local aquarium store or pet store. These are some of the most amazing and unique freshwater fish available for all freshwater fishkeepers. Not all are suitable for the general community tropical aquarium but they can be housed in larger fish only tanks usually found in public aquariums. These are listed in no particular order, but #3 is one of our favorite fish and one of my dream fish to own. The Paddlefish is a member of the Paddlefish family (Polyodontidae), one of the most primitive groups of fishes in North America. Not your average aquarium fish I hear you say, true, but this post is about the most unique freshwater fish and this certainly fits the bill. Paddlefish were first seen by Europeans in the 16th century but little was known about the unique and ancient fish until much later. This close relatives of the Sturgeons have a toothless mouth with an extended snout longer than its head. Smooth and scaleless skin and growing to over 2m it’s difficult to mistake this unique freshwater fish. Paddlefish can still be found in the Mississippi River system from Montana to Louisiana, and some smaller rivers flowing into the Gulf of Mexico. They were found in Canada but the last sighting was about 90 years ago. You could be fooled into thinking these fish are from the shark family as they do resemble sharks not only by their shape but also by their skeletons as well. Both paddlefish,sharks and stingrays have skeletons made of cartilage, not bone. However, they are not sharks. Paddlefish are the oldest surviving animal species in North America. Fossil records indicate that it is older than dinosaurs (300 million years). Females only spawn every 4-7 years. Paddlefish have no teeth and eat by swimming through the water with its mouth held wide open, scooping up plankton. They filter out the food with their gill rakers. Sadly their closest relative, the Chinese paddlefish, has recently become extinct. It is highly valued as a sports fish which has contributed to its decline in numbers. It is also valued for its flesh as well as for its caviar. It has now be classified as VULNERABLE on the IUCN Red List of conservation. The African butterflyfish ( Pantodon buchholzi), is the only species in the Pantodontidae family. This carnivorous fish has a large swim bladder enabling it to breathe air in at the surface of the water. They are found in West Africa, Nigeria, Cameroons, Zaire. It spends most of its time hanging at the surface of the water, waiting for prey and has the ability once it gathers enough speed to jump out of the water and glide a short distance. It is therefore very important to have a tight fitting top on the aquarium to stop the fish from jumping out. They have a large mouth and will swallow anything that it can fit inside its mouth so caution should be taken in a community aquarium. In the wild, it inhabits slow-moving and still waters lakes, creeks, and swamps. These habitats typically have dense overhanging vegetation. In the aquarium, they will do best in a planted tank with surface plants where they can hide and seek shelter underneath. The aquarium should be dimly-lit with floating plants in order to diffuse the light further and allow the butterfly fish to exhibit its natural behavior. In the wild, they mainly feed on insects and small spiders, in the aquarium they will accept live foods like bloodworms and brine shrimp but would also benefit from a supply of insects or even spiders if you can catch them. These fish are generally peaceful apart from eating anything that will fit in its mouth but that’s only because it believes it to be food. It won’t generally go round chasing fish to eat. The butterfly fish is generally quite peaceable, but its trailing fins offer irresistible temptation for other fish to nip at. This can lead to infection and disease. These fish are said to have survived unchanged for 100 million years! They have not been genetically changed or modified with any environmental changes and survive in their natural state to this day as they were found millions of years ago. Like most freshwater fish, the Butterflyfish are prone to skin flukes, parasitic infestations, parasitic infestations, bacterial infections, and bacterial disease. They do however react to treatment well. Ensure your aquarium conditions are correct, they like a shady, shallow aquarium with a lot of surface area and loosely planted. Slightly acidic, soft water with very little water movement. If you can provide all these requirements then they will thrive in the home aquarium and you can truly say you own a very unique freshwater fish. Size 6-12” Common but can grow to 18” but this is rare. The Axolotl or Ambystoma mexicanum if you like to use scientific names is also commonly known as the Mexican Walking Fish. Before you all start to email us we know it is not a fish, it’s an amphibian but a very unique freshwater species and worth a spot in this list. In 2010 research was conducted and found that axolotls were near extinction due to urbanization in Mexico City and consequent water pollution, as well as the introduction of invasive species such as tilapia and perch. In Mexico, axolotls were also sold as food and they have been extensively caught and used for scientific research which means their numbers dramatically dropped. They are listed on the Endangered species list as Critically Endangered. They grow to around 9-12″ and anything over 12 ” is considered rare but not impossible. They have an average lifespan of around 15 Years but have been known to live up to 20 years. The tank should be kept in a cool room away from bright sunlight. The water temperature should be kept between 57-68 degrees Fahrenheit (14-20 degrees Celsius), and never allowed to get above 75 degrees Fahrenheit (24 degrees Celsius). No special lighting is needed and the base of your tank should be either very coarse gravel and not too fine as this might accidentally be ingested when eating or none at all. Regular water changed will be needed, around 20% weekly and tap water should be de-chlorinated and have a pH level of 6.5-7.5. In the wild, axolotls feed on worms, crustaceans, snails, small fish, and small amphibians. In the home aquarium, they can be fed a variety of foods including brine shrimp, bloodworms, pellets, and small strips of beef and liver. A good filter is essential to remove waste and leftover food particles. We have removed some suitable filters in our Best Filters For Large Fish Tanks article. Head over and see which one came out on top. Obviously, these fish need the right aquarium and the correct conditions. And again we know they are not technically a freshwater fish but we thought they were definitely unique and we love them. We are pleased to say that although these amphibians are almost extinct in the wild they are extensively bred in captivity and are widely available as pets. The aquarium/fishkeeping industry has not contributed to their limited numbers in the wild, that is an environmental issue more than anything. Scientific Name None, this is a man made fish. Sexing Mature males have huge nuchal hump and are much brighter. Breeding Easy, breed better at high temperatures. The Flowerhorn Cichlid is not a natural fish that can be found in the wild. This fish is a result of cichlid interbreeding and has created quite a buzz in the fishkeeping world. The first Flowerhorn Cichlid was bred in the 1990’s in Malaysia by cross-breeding different species of fish, primarily South American cichlids. The Malaysians are said to have admired fish with large protruding nuchal humps on their heads as a resemblance of “Karoi”, the “warships” found on the western side of the country. This unique looking fish not only looks amazing but also has the personality to match. Cichlids wild breed with just about any other cichlid, whether it’s the same species or another. This fish, however, wasn’t an accidental breeding. It was a carefully planned breeding program which resulted in this amazing fish. I’m not sure if I agree with this practice but that’s a whole different story and one we’ll leave for another day. These fish can grow to 17-18″ and will need a very large fish tank and the correct setup to house them successfully. They are big diggers so ensure you have the correct size gravel and a good depth in the bottom of your tank. If you think you’ll have a lovely clean and tidy aquarium floor, then think again. They love to move the gravel into big piles and dig around generally making your tank look untidy, but they’re only having fun! Plants are a definite no, they will eat any plant that you attempt to put into the aquarium. They will benefit from some large rocks to play around and hide amongst although they love to be in open water and rarely get scared enough to need to go hide. Juveniles will appreciate caves and rock more. The Flowerhorn Cichlid is best kept singly as a show fish. They are very territorial and aggressive, so they should not be kept in a community tank unless the tank is huge and the tank mates equally large. Thanks to this fish being made and bred in captivity it has made them very hardy and easy to keep. They are tolerant of poor water conditions (Not that we want poor water quality) and settle into their new home with ease. Even though they are easy to keep they are not recommended for beginners due to their aquarium requirements, tank size, and even the price. These fish are seen in Japan and other Asian countries as good luck and good ‘Feng Shui’. Feng Shui is an ancient Chinese practice, a discipline with guidelines that practice placement and arrangement of space to achieve harmony with the environment, and thus effect health, wealth, and personal relationships. Thanks to these beliefs these fish command a high price. A fully grown fish with good coloration and huge hump can fetch upwards of $2000. No reliable sexing method has yet been confirmed. In captivity, they use very specific methods to bred particular colors and patterns. It’s a very complicated and technical process but has produced some amazing results. These fish are becoming available in most aquarium shops and prices start at an affordable $80 but can go up to $2000 for a show winning fish. Native to the Amazon river basin in South America. Named for their distinctive shape and bright colors these amazing fish are very popular across Asia and Germany. Anyone who has every kept tropical fish before will have heard, seen or kept Discus fish. They are truly one of the most unique fish available to fish keepers. Their body shape and colors make them attractive to all fish keepers. These fish are not for the beginner, they require very specific water condition to thrive. Wild discus and Asian discus need soft water and many so RO water to thrive. However, European-bred Discus, however, are quite happy and will even breed in harder water – the reason being they have now been tank-bred over several generations and have adapted to it. So if you’re are intent on keeping discus and have little experience keeping these amazing tropical fish we suggest buying European bred discus to start with. Always buy discus from the same original source. Mixing different discus from suppliers and countries can lead to all sorts of problems. People often think this is only an issue with discus mixed from Asia and Germany but we have found this no to be true and have experienced issues with discus fish from one country but from different suppliers. Try stick to one supplier and one breed of Discus to avoid any issues. It is critical for keeping healthy Discus that you have excellent water quality at all times, efficient filtration and regular partial water changes are a must. The output from the filter should be good with a good GPH rate but with a gentle outlet for these relatively slow swimmers. To help your discus feel at home we recommend furnishing your aquarium with plenty of aquatic plants and Bogwood. These will also help reduce the pH of the water. Discus are sensitive to the dissolved metals found in tap water, so using an RO unit to remove any unwanted metals is definitely worth considering. Discus fish are peaceful fish and very slow eaters so it’s advised to keep them on their own or with other very peaceful fish. Bottom feeding peaceful catfish like Plecos and Corydoras make perfect tank mates. They love to be kept in large groups of 6 or more. We suggest introducing 4-5 at any one time and then slowly introduce more. Never one at a time. Tank size is very important and the depth of the aquarium is especially worth looking at with these fish due to their overall body shape. Ensure you have a large aquarium with soft water, good but gentle filteration and plenty of plants and bogwood as decoration. The Silver Arowana Freshwater fish or Dragon Fish is one of the most highly prized fish in Asia and most of the world. They are also known as monkey fish, due to their ability to leap out of the water and capture prey on low hanging branches. Native to South America river basins – such as the Amazon river, Rupununi, Essequibo, Brazil, Guyana, Colombia and later was introduced to North America. These fish should not be purchased lightly even if you can afford the huge price tag some can fetch. We have seen examples of these fish sell for over $60k. They can live up for more than 20 years in a home fish tank, and the purchase of a silver Arowana should not be taken lightly. Their long life, combined with their tank busting size and feeding requirements makes them a fish only suitable for experienced aquarists. The average size of a fully grow Arowana kept in captivity is around 36″ but in the wild, they have been seen of upwards 48″ and often caught by fishermen in the Amazon Basin. Tank size will be the main concern when keeping these huge fish. A minimum tank size of 250 Gallons for a single fish is a good starting point but a better option is a heated pond. See this amazing pond style tank by The King of DIY on Youtube. Whatever style of aquarium you keep these fish in a lid is advised as they are amazing jumpers and in the wild and they use this to hunt food. For a very large fish, they are very peaceful and tank mates should be chosen carefully as they are surprisingly susceptible to bullying from aggressive fish. They should be large enough to cope with the Arowanas powerful body and feeding habits but not too large to pick on your Arowana. Filtration will be a major focus for keeping these huge fish as they need impeccable water qualities and the way they feed and the type of foods you need to give them means there will be lots of work for the filter to do. Very large external canister filters with a high GPH output will need to be used. Even thinking outside the box and making your own filter might be something to think about. If you looking a for good quality filter straight out of the box that can cope with large aquariums then you should look at the Fluval FX6 we love it and it can handle 400 Gallon tanks. This amazing fish comes from Southeast Asian tropical waterways and found widely in the rivers of Indonesia, Thailand and nearby countries. This very distinctive tropical freshwater fish will definitely catch the attention of visitors looking in your fish tank. Datnioides pulcher, popularly known as Datnoids or Siamese Tigerfish can grow to over 2 feet in the wild but in the home aquarium, they rarely grow above 18″ max. They have a very long lifespan for a tropical fish 20-25 years. These large predatory fish are relatively peaceful if housed with similar size fish. They can be difficult to feed and this has placed them in the moderate to difficult category to keep. They are also rather pricey, especially a fully grow Gold Datnoid which cat fetch upwards of $500. In the wild, this fish is caught for fish food and the aquarium industry which has seen a drop in numbers. However, they are not on the Red list of endangered species. They are possibly extinct in certain parts of the Chao Pharya river basin in Thailand. It goes without saying that a freshwater fish of this size will need a large aquarium as they grow to over 18″ each. Another important factor when housing Datnoids is that they are very messy eaters and your tank will need a very substantial filter and regular 25% weekly water changes are a most. These factors make these fish time consuming, expensive and costly to feed, but they are worth it! Datnoids are often thought of as brackish water species but that’s not true for all species of Datnoids. There are Datnoid species that live exclusively in brackish water but the Siamese Tiger Fish which is the variety commonly found for sale is not one of them. Datnoids are known to go through starvation periods where they won’t eat for days and sometimes weeks. This is not uncommon and you shouldn’t do anything drastic. Don’t alter anything in the tank or it’s tank mates as this could cause more stress and prolong the starvation period. Just keep tempting them with their favorite live feed foods which will bring out their natural hunting skills. These unique freshwater fish are definitely special and worth the extra effort. Just make sure if you’re considering keeping them that you provide them with the best tank and equipment you can and remember how long they live. Be prepared to have them for 15 years+ and watch them grow to over 15″. Size In Captivity around 12-24"
If this was a Top 10 Freshwater fish list then I think this fish would have easily made it into the top 10. Reminding me of a fish you’d see in a James Bond villains tank, these freshwater stingrays are one of the most unique fish you could ever keep. An interesting fact about Freshwater stingrays- Millions of years ago when the Andes Mountains were formed a large pocket of water was trapped. Almost the size of a mini ocean it contained saltwater stingrays and over time many thousands of year, the salt slowly evaporated from the water when then turned into freshwater. The stingrays then adjusted and became freshwater fish. Another fact is that freshwater fish.. how shall we put this? They wee a lot and produce a ton of ammonia which most aquarists are not aware of and can cause them to lose their entire tank overnight. These fish are also difficult feeders and the difficulty varies from species to species. Many stores will try and sell the smaller stingrays called Teacup Stingray as they think because they are smaller and cheaper to buy they will be easier to keep. This is not true and is causing hundreds of home aquarists to lose many Teacup stingrays. Even Teacup stingrays can grow to 16-24″. For a full list of available Freshwater Stingrays visit RAYLADY.COM a fantastic resource for freshwater rays. They are also very sensitive in their belly area where they have very soft skin so having the correct substrate is vital for their care. We recommend having a bare bottom tank to be on the safe side. A very important part of keeping these fish is the tank size. It’s not so much the tank Gallon size you need to worry about its the width of the tank as stingrays can grow up to 3 feet wide. That’s the size of a hula hoop in your aquarium! A minimum of 8 feet by 4 feet wide would be a starting size for a single large stingray of 2-3 smaller ones. We mentioned earlier the amount of ammonia these fish produce so having a large filtration system is vital. We don’t just mean a couple of large FX6 FLUVAL canisters. We mean a custom style filter with a huge amount of biological media to remove all that ammonia. You will need to do huge water changes each week, we’re not talking about 5-10% every fortnight we mean 25% weekly to keep them the best chance of survival and the best environment we can to live in. They are fussy eater to start with but once you get them feeding they will hunt and seek out food all day long. They are part of the Shark family after all. These fish are like no other fish you will ever keep and for some people are a lifelong dream to own one. They are a massive commitment to keep, a huge financial investment ( some cost 5k each) and will take up a huge amount of room in your home. The final point to remember is their name STINGRAY and this name comes from the barb at the end of their tail which contains a toxin. You all remember Steve Irwin who was pierced in the chest by a stingray barb several times which unfortunately hit his heart. His injuries were so severe that the Australian TV naturalist could not possibly have been saved and he lost his life. The toxin within their bards will not kill you but it will be very painful, so in the home aquarium if you’re stung by one of these bards you will need to run your hand under very hot water which will help prevent the venom spreading and slowly reduce the pain. It will, however, hurt like hell! If you’re stung we recommend getting medical help as soon as possible in case you have an allergic reaction to the venom. Last fact… Baby stingrays are called Pups! Kryptopterus vitreolus, known in the aquarium trade as the glass catfish, ghost catfish or Phantom Catfish is one truly unique freshwater catfish suitable for most aquariums. This fully transparent freshwater catfish with two long barbels. Its size may range up to 8 cm (3.1″) but usually only reach around 6.5 cm (2.6″) in the home aquarium. They are transparent because, like all catfish, they are scaleless, and catfish within the genus Kryptopterus lack body pigment. These are naturally occurring fish that come from Thailand and even some parts of Malaysia. You can even see right through this fish when the light catches them and see all their organs, including its swim bladder and vertebral column and heart beating. In the wild, these fish are a schooling fish, it needs other Ghost Glass Cats in the aquarium in order to survive and thrive and be happy. If they’re kept on their own they have been known to go into a state of shock and stress and stop eating and waste away. That’s why it’s important to ensure they are kept in small groups. You will also need to provide some caves and suitable rock work for these fish to hide and swim to when they feel unsettled. They don’t like bright lights and will shy away most of the day but slowly emerge when the light starts to dim. Then they will swim out into the open water and their beauty can be seen. Feeding these fish is not really an issue Ghost Glass Cats are omnivores and should be fed a diet of flake and frozen foods, as well as freeze-dried bloodworms and tubifex. Most fish sold in aquarium shops and pet stores are still wild caught as breeding these fish in captivity is very rare. These fish are very easy to keep, feed and purchase due to their low cost. But they are susceptible to poor water quality, so ensure you have the perfect water conditions for them and you do regular water changes. Other than that they are very peaceful fish which will add some real interest into your community freshwater aquarium. For only a few dollars you can have a small shoal of Glass Catfish which will look amazing in your aquarium. The Freshwater Pipefish (Doryichthys martensii) , or Long-snouted Pipefish, is an amazing freshwater fish with a fascinating personality and appearance. Shy, regal, captivating, and cryptic, pipefish cautiously roam the aquarium in a constant search for food. Classed as moderate on the care guide these fish are challenging due to their feeding habits. They will need a constant supply of live foods. They rarely accept dried flake foods so having a constant supply of live foods is vital for their survival in the home aquarium. With lots of effort, pipefishes, like seahorses, can be trained to feed on frozen mysis shrimp and krill, but will only eat food which appears to be moving. Pipefish belong to the same family as seahorses (Syngathidae), and while they aren’t one of the 47 different types of Seahorse they share many of the same similarities. There are hundreds of different species of pipefish but many that are sold in the aquarium trade are saltwater. Freshwater pipefish are much rarer to see on display in the home aquarium. They are slowly becoming more available but are still in huge demand. They have been taken from Brackish water fish to 100% freshwater fish over many years by importers and aquarium stores. There are not species that are perfect for the home aquarium freshwater tank. However, many aquarists say you still should have a very small amount of salt within the tank. Check with the store before you buy them and see how they have been keeping them. These fish bond for life. They are amazing to see them pair and bond for life. The males will display each morning for the females and impress them with a slow dance and show off. It’s lovely to watch. Most freshwater species stay under 12″ in size. They are some pygmy pipefish that only grow to around 4″ max. Feeding these fish is the main issue. All pipefish sold in the industry are wild caught and will only accept live foods to start with. Over time you may be able to get them to accept dried or frozen shrimps and bloodworms but not in the beginning. These very peaceful freshwater fish will be fine in most aquarium with other small none aggressive fish. If you’re looking for a totally unique freshwater fish then look no further. They are hard to find in most stores but once you track some down they will be amazing in you fish tank especially if you can buy a pair. Not all of these fish can be kept in your average freshwater home aquarium, but they can be housed in either large aquariums or specialist tanks. Some like the Glass Catfish are perfectly safe in many home fish tanks. Always talk to your local aquarium store if you’re unsure about the compatibility of a fish, they are the best people to advise you, or search for that fish in our search box and see if we have written a review on it. It has been estimated that the total number of all fishes is 32,500 species. Considering that freshwater may constitute less than 0.3% of available global water, it is remarkable that there are more than 15,000 freshwater fish species. Many are fine in the home aquarium so you have a lot to choose from. Let us know what unique freshwater fish you keep. We’d love to hear from you. 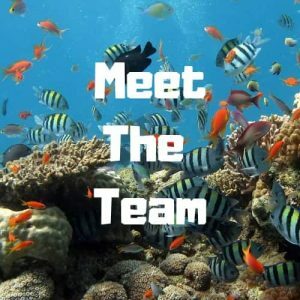 Heres a couple of other Unique fish we have written about that you may find interesting, Frontosa Cichlid, Tiger Shovelnose Catfish, Killifish and the amazing Oscar Fish one of my all-time favorite fish.